Your busy season is right around the corner. To help ensure maximum productivity and to minimize unexpected downtime, you should follow a preventive maintenance checklist for your Bobcat® compact loader. Testing the battery, checking tires and tracks, fluids, oils and fuels as well as following attachment maintenance procedures should all be items on your list before operation. Whether your loader has been parked during the off-season or used for intermittent duties during the winter, such as snow removal, inspect the battery to make sure it is charged and connections are clean (corroded terminals can cause hard starting and charging issues). There is always a draw on your Bobcat loader’s battery, so unless you have maintained or disconnected the battery while it was inactive, it will slowly run down and will need to be charged before operation. The battery can also freeze during colder months if it has a low charge, potentially leading to internal battery damage. To avoid this issue, keep it charged and clean at all times. Looking to reduce downtime? It goes without saying that you shouldn’t operate a loader without making sure tires have the proper tire pressure. If your loader has been inactive for months, tires will lose air pressure and need inspection before use. As a quick reference, the manufacturer-recommended inflation pressure is shown on the sidewall of the tire. If you are operating a compact track loader or mini track loader, inspect the tracks for excessive or uneven wear and for proper tension before use. Refer to your Operation & Maintenance Manual for proper inflation pressure for skid-steer loader tires and track tensioning for compact track loaders and mini track loaders. Prior to operation, you should inspect your machine’s fluids, including fuel, engine oil, coolant, hydraulic fluid, grease and drive motor lubricants. Fluids and fuel should match the proper ambient temperatures and your manufacturer’s recommendations to minimize downtime. For example, No. 2 grades should be used at temperatures above 15 degrees Fahrenheit; however, it is recommended to use a blended or No. 1 diesel fuel and/or anti-gel additives when temperatures drop below 15 degrees Fahrenheit. Filters should also be changed annually or sooner, depending on how many hours the machine is in use. For instance, dirtier and dustier conditions may require more frequent filter changes. If a filter is dirty or completely clogged, it can compromise sensitive components and negatively affect the machine’s performance. 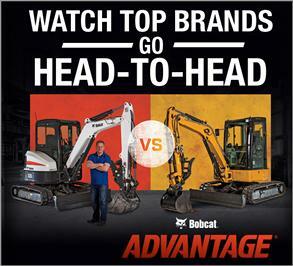 Find the right filter for your machine in Bobcat online parts catalog. Whether you are at your 50-hour service interval or 3,000-hour interval, Bobcat maintenance kits are also available for your loader. The kits are an easy, one-step process, allowing you to order maintenance parts based on your machine’s service hour intervals, sourced directly from the service manual. Included with the kit is a list of recommended fluids and lubricants, as well as fluid capacities. 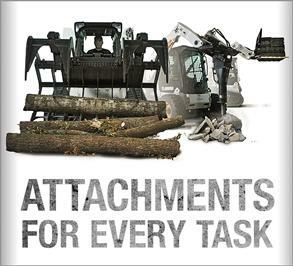 Attachments are as important as the machine itself, helping with day-to-day maintenance and ground-engaging tasks. Make sure to check attachment hoses, cylinders and guards, cutting blades and edges to determine if damage or wear has occurred. Everything that engages with the ground, including bucket cutting edges and trencher teeth, should be looked at before operating. Connecting the attachments, testing them and building up pressure are ways to make sure your attachment hasn’t changed while idle and is in top working condition. 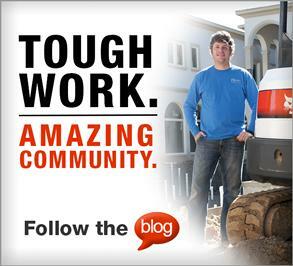 Addressing issues as they come can help save on hundreds of dollars’ worth of repairs and project delays. Make sure you are ready this season by maintaining your compact equipment.